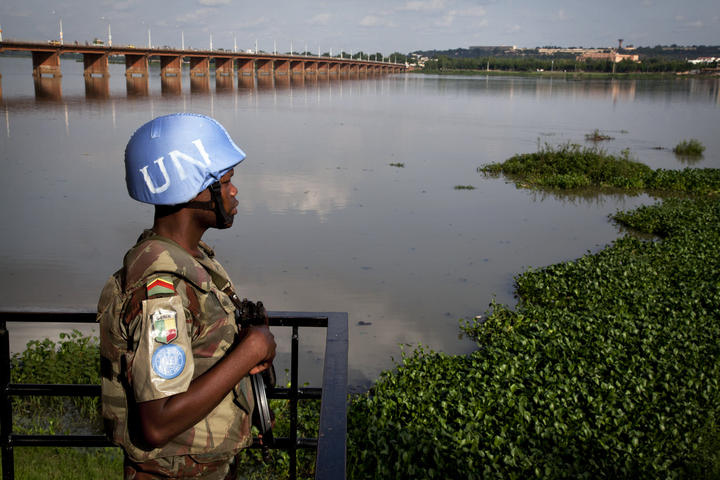 A UN peacekeeper from Benin serves in the MINUSMA mission in Bamako, Mali. Photo via United Nations Photo. UN peacekeeping is facing significant challenges. The peacekeeping budget has taken significant cuts, and there are likely to be more. Yet, while resources are shrinking, peacekeeping missions are being asked to do more, particularly regarding the use of force to protect civilians. Faced with declining resources and a task as difficult as civilian protection, missions will be forced to do more with less. So how can they begin to address this challenge? Where Are Civilians Under the Greatest Threat? One way to bridge the gap between resources and mission is to more closely examine the geographic distribution of violence against civilians. A better understanding of where violence most frequently occurs within a conflict zone could help missions more effectively prevent and react to such incidents. In the context of more frequent UN peace enforcement missions (in which the UN actively targets and fights against a party to the conflict), a question of particular interest may be how, or if, groups change where they use violence against civilians in reaction to these kinds of interventions. A recent report looking at six such cases of intervention identifies two patterns in the geographic dispersion of violence against civilians prior to and during intervention. First, the area where violence against civilians occurred most frequently – measured via standard deviational ellipses – shrinks by an average of 50% during/after intervention. Second, the mean center of such events remains fairly static, with an average shift of only 62km. In short, actors use violence against civilians over smaller areas centered on where they had targeted civilians prior to intervention. So why is this important for peacekeepers attempting to more effectively protect civilians? 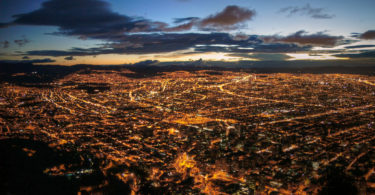 Civilian protection operations require a high level of situational awareness, but peacekeeping forces often don’t have the intelligence collection assets necessary to maintain this kind of awareness over geographically large conflict areas. Peacekeeping commanders have stated that increased situational awareness is critical if forces are to anticipate and prevent violence against civilians. According to an official at the UN mission headquarters in the Democratic Republic of Congo, “you really need intelligence during the operation, so you get information that warns you about something then you can position your forces very accurately to deal with that particular threat.” Refining our understanding of where violence against civilians is most likely to occur would help fill this gap in tactical intelligence and situational awareness. Additionally, troop deployments and patrols can be increased in areas of previous violence against civilians. Troops on the ground are the frontline of intelligence collection. Counterinsurgency literature shows that high concentrations of troop interaction with civilians is key to a force’s ability to gather reliable intelligence. Narrowing down where violence against civilians is most likely to occur during intervention – and deploying troops accordingly – can thus improve intelligence-gathering capabilities. This, along with related strategies such as dispersed, decentralized troop basing and a greater emphasis on foot (as opposed to mounted) patrols, could enhance both intelligence collection and the capacity for rapid deployment in areas most likely to experience attacks on civilians. Civilian protection is a colossal task in any context, and it is only going to get harder in the face of declining resources. However, research can help peacekeeping missions overcome these challenges by increasing peacekeeping effectiveness in the protection of civilians. Jay Benson is a researcher at OEF Research. His work focuses on issues of intrastate conflict, peacekeeping, and protection of civilians.